A field sample of mosquitoes that could carry West Nile Virus is seen at offices of the Riverside County Department of Environmental Health on April 26, 2007 in Hemet, California. 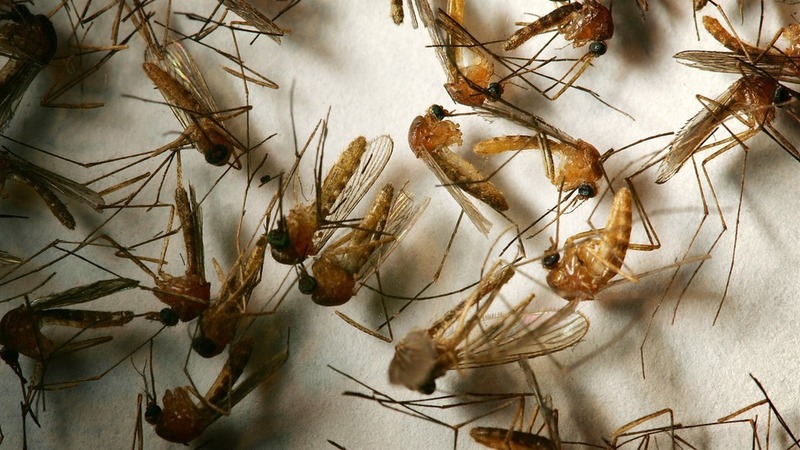 For many of us, mosquitoes might seem more pests than predators. But in a large part of the world, particularly among the poor, mosquitoes are a blight. There are more than 2,500 species of mosquito, and they’re found in every region of the world except Antarctica. During the peak breeding seasons, they outnumber every other animal on Earth, except termites and ants. Despite their innocuous-sounding name—Spanish for “little fly”—they carry devastating diseases. The worst is malaria, which kills more than 600,000 people every year; another 200 million cases incapacitate people for days at a time. "It threatens half of the world’s population and causes billions of dollars in lost productivity annually."